Chronologiste combines luxurious advanced technology and unique sensory experience. 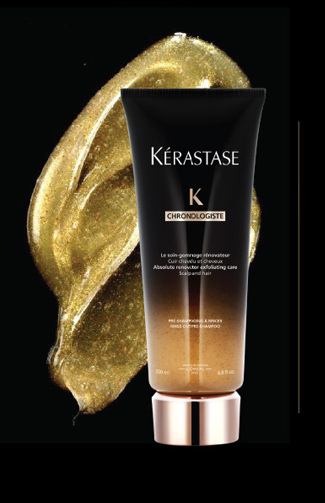 This 40 minutes in salon treatment sublimates all hair types, from scalp to ends. Designed for the woman who craves the most luxurious hair treatment available. Chronologiste works like a miraculous elixir.